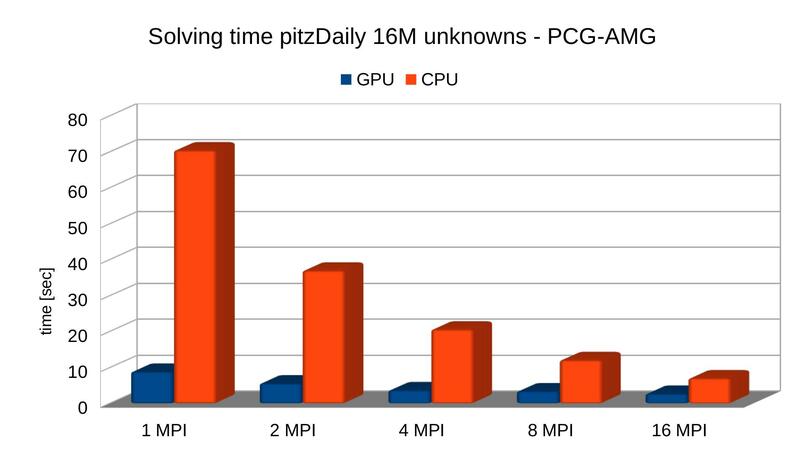 In the following figures we show strong scalability (i.e. 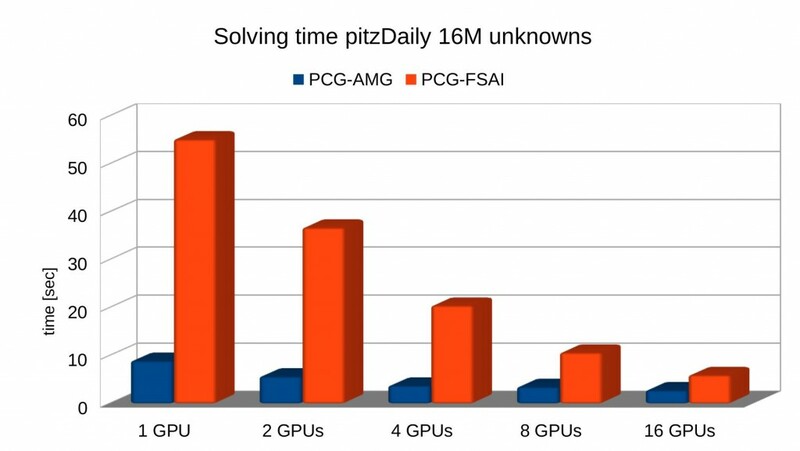 the size of the problem is fixed, the number of nodes/GPUs varies). 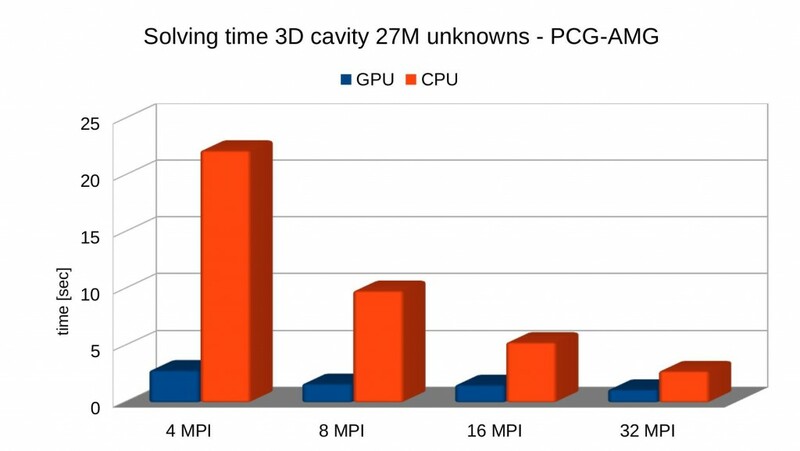 The examples represent the solution of the pressure problem of standard benchmarks (3D Cavity 27M unknowns and PitzDaily 16M unknowns). 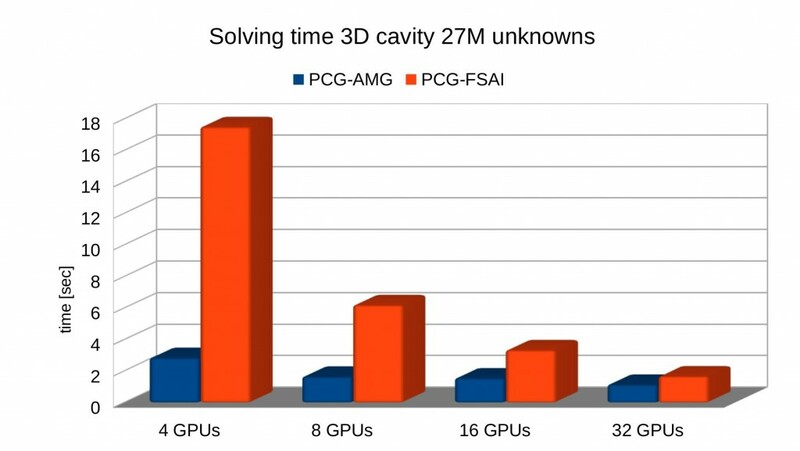 Two types of solvers are used – CG with FSAI and CG with PairWise AMG. For more details please check the PARALUTION User Manual [pdf], Chapter 12 / Performance Benchmarks.